Air conditioning systems can account for as much as 25% of some businesses total energy consumption. An air conditioning systems is normally switched on or off automatically in a series of cycles via a time clock or room thermostat. Typically both the compressor and fan within an air-conditioning system will run continuously until the room thermostat is satisfied. However, air-conditioning systems are routinely designed and specified to cope with the hottest days of the year. Throughout the cooling cycle the compressor will provide cooling to the coils within the duct and the fan will extract ‘warm’ air from the room. As it passes across the cooling coils it loses its heat and the heat is subsequently expelled from the building. It is widely recognised that as cooling begins to take effect in the room, the temperature of the air entering the duct falls and the differential in temperature between the air entering and leaving the system narrows and a threshold known as “thermodynamic saturation” is achieved. This is the stall point at which the air leaving the system is no longer benefiting from the aggressive cooling and yet the compressor will still needlessly continue to run, flat out! 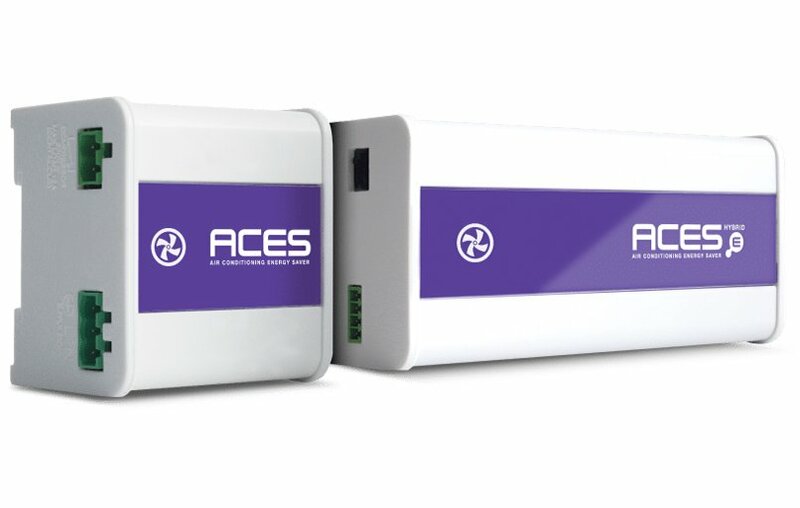 SMARTech energy has a SMART solution – ACES which is a range of air conditioning energy saving products that have been designed to significantly reduce energy running costs while maintaining, and often improving comfort levels. To find out more and understand how much energy ACES can save your business, contact SMARTech energy today.